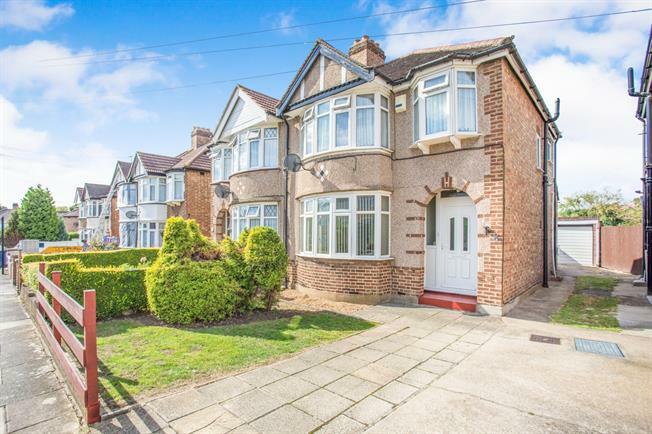 3 Bedroom Semi Detached House For Sale in Greenford for Offers in the region of £535,000. FEATURED IN THE BIG OPEN HOUSE 27th and 28th April 2019 - please call for viewing arrangements. A beautifully presented light and airy semi detached family house. Located close to amenities and public transport ,this well maintained property briefly comprises of a through Lounge , fitted kitchen , three bedrooms and bathroom. Further features includes , double glazing , central heating , off street parking , rear garden and detached garage.